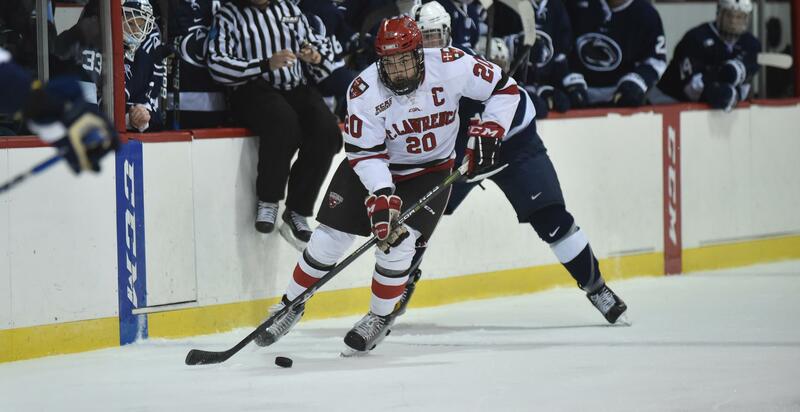 Joe Sullivan of Las Vegas is the captain of the St. Lawrence University hockey team which goes into a decisive Game Three vs Dartmouth on Sunday in an NCAA ECHL Game Three playoff game – the winner advances. Joe Sullivan of Las Vegas and St Lawrence University vs Dartmouth, Thompson Arena, Hanover N.H.
//Saturday final score – St. Lawrence 4, Dartmouth 2 to tie best of three series 1-1. Joe Sullivan assisted on an empty-net goal late in the game to clinch it. The two teams return Sunday eve for the decisive Game Three.